Let me preface this review with a quick note about my bias towards The Wonder Girls - it is no secret that I possess something of a fondness for Korean cinema and a weakness for K-Pop. In JYP, Asian's answer to Simon Cowell, this film contains a fine comedy actor whom I hold in high revere for his hilarious performances in Dream High. Not least of all, The Wonder Girls boast Yenny. She is wonderful. 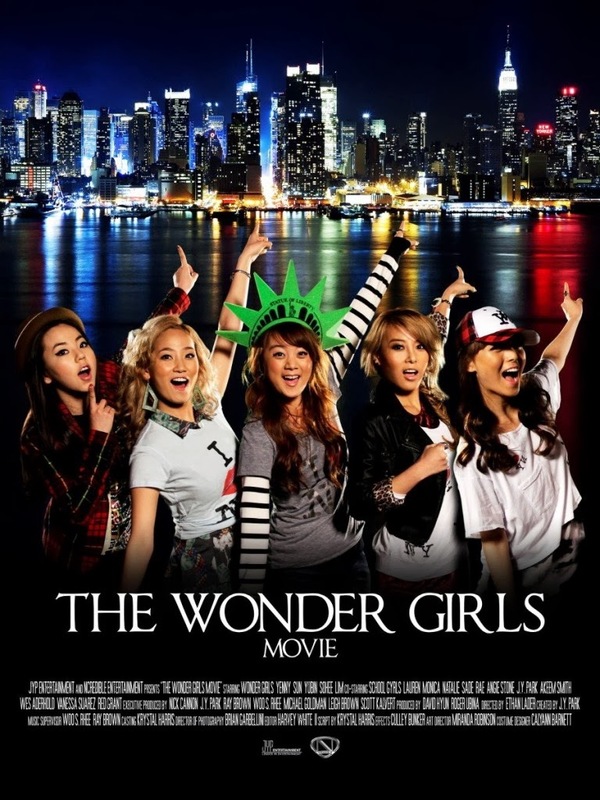 With all that said, there is no other way to address The Wonder Girls Movie other than to state it is terrible. Nauseatingly, embarrassingly, terrible. Confusingly for a pop industry which is so immaculately dedicated to achieving perfection (in order to debut, K-Pop singers have to train for years in advance to meet the requisite standard), the band's attempts to crack the American market with a TV movie have fallen way short in achieving this in part due to the sub-par feature that aims for lowest common denominator humour and often misses by some distance. On paper, the movie (which premiered on TeenNick) ticks all the boxes needed for creating an enjoyable, (young) teen-friendly, female focused tale. There's dancing, girl power and the odd perfectly sculpted pop song sprinkled throughout - sadly, however, the positives are far outweighed by the negatives. The most superficial problem here is that The Wonder Girls are, sadly, not English-speaking natives - it appears as if their lines have been learnt phonetically; their dialogue is full of pronunciations and tonal choices which are stilted and slightly alien. Although inevitable, and no fault of the Girls themselves, the recital does form a wall between the actors and audience (although the non-verbal charisma of the performers shines through, particularly in their musical performances) - this is further exacerbated through clunky dialogue and a sub-standard script. The narrative, as flimsy as it is, concerns the band's attempts to crack the USA, a feud with the American group School Gyrls and Yenny (Ye-eun)'s blossoming romance with an American DJ. Along the way there's a series of cross-culture mis-communications which are as humorous as they hackneyed - which is, to say, very. For a film created with such lofty ambitions, nothing short of establishing the K-Pop band in the notoriously hard-to-crack USA, The Wonder Girls Movie seems incredibly short on formal ambition. Perfunctory seems to be the highest aim for the TV film and, sadly, this height is not often reached. This sounds like a movie I would like! Ha - I'd start elsewhere!